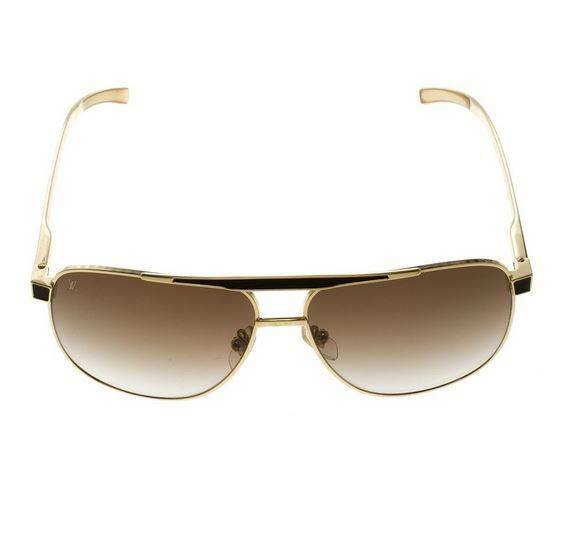 Rare Louis Vuitton Persuasion Carré Sunglasses with gradient lenses, Moka leather on the nose bridge and temples. 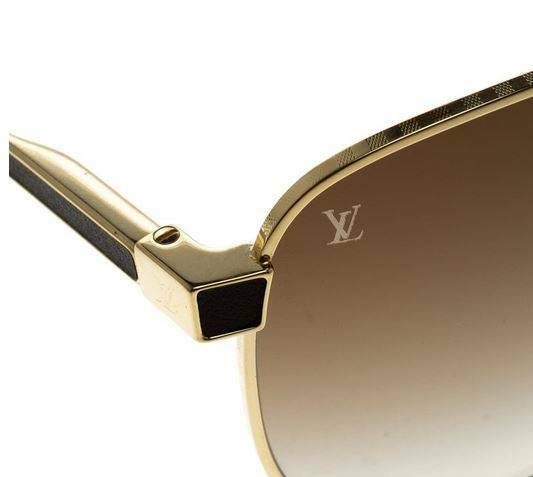 LV logo on the hinges and Damier details on the nose bridge and nose pads. Gold hardware frame. 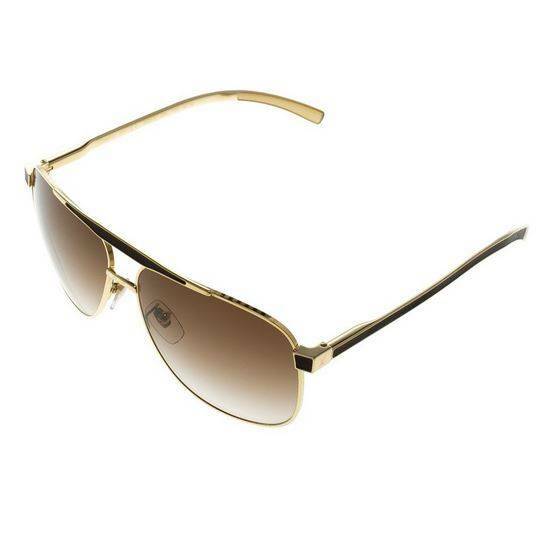 100% UV protection.Come in original case with dust bag. Serial Code: Z0549U. Made in Italy. Typically for men but can also be worn by a woman. Measurements: Frame Height: 1.75", Frame Width:5.75"